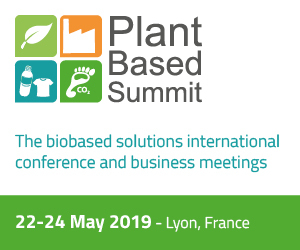 “A biobased economy starts from the feedstock and ends at the consumer, and the processing is just the middle: we need thus to tackle the 3 steps if we really want to call it “economy”. Also, we need to bring new technologies regardless of where they come from. Brazil for example may be thought of a place of soccer and samba but the hard fact is that it is the only economy in the world which uses biofuels widely. We should study examples such as that, bring them to Europe, and stop thinking we have the answers, but the H2020 rules basically forbid that, as we found out ourselves”. To say this – in this exclusive interview with Il Bioeconomista – is Al Costa, Ceo of Alkol Biotech, a Spanish genetic engineering company focused on the research of new crops. With Costa we talk about crops, the role of farmers and the policies to support the bioeconomy. Could you explain us which is the main business of Alkol Biotech? Alkol is a genetic engineering company focused on the research of new crops. Whereas have companies such as Monsanto, Syngenta, BASF develop new crops for human needs, we at Alkol focus only on the biobased markets. The reason for that is two-fold. One, because we wouldn’t want (or could!) compete against such companies. Second (and most importantly), because we feel that those markets are extremely unattended. In fact, just about every project today on a new biofuel, bioplastic, etc seems to forget that a suitable feedstock is key. We thus look and improve crops to allow sustainable production of any biobased product. What do you think about the different policies to support the biofuels markets in USA and in Europe? I don’t think they are different at all and in fact I have claimed several times that Europe is heading towards the same mistakes USA did with its RFS program. In 2007, president Bush claimed at a State of the Union speech that America was “addicted to oil”, and said ethanol was the answer, especially cellulosic. Millions were poured into companies such as Range Fuels, Terrabon, Kior, etc which claimed they had revolutionary technology to basically transform anything into ethanol, with a total disregard on the feedstock being used. The result was that those processes did not work as expected and in the first 3 years of the project absolutely no 2G ethanol was produced. In Europe, programs such as Horizon 2020 focus the vast majority of its funds onto processing methods, also disregarding even if there will be a feedstock at all. Is there a measure that you would like to suggest to the European Commission? I have a lot actually. 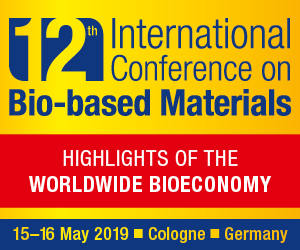 Just as a start, we need to stop with the notion that we are researching on a “biobased economy” if all we fund is yet another way to process a feedstock. 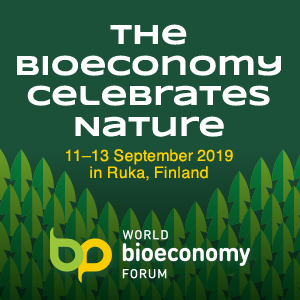 A biobased economy starts from the feedstock and ends at the consumer, and the processing is just the middle: we need thus to tackle the 3 steps if we really want to call it “economy”. Also, we need to bring new technologies regardless of where they come from. Brazil for example may be thought of a place of soccer and samba but the hard fact is that it is the only economy in the world which uses biofuels widely. We should study examples such as that, bring them to Europe, and stop thinking we have the answers, but the H2020 rules basically forbid that, as we found out ourselves. Finally, we need to bring in real experts for the H2020 and similar funds and make them accountable for giving misleading reviews. We had a case in which we the reviewer actually confessed he did not even read our proposal, another where he said I was a lawyer (? ), another in which they asked why sugarcane was never sequenced when we had actually explained it , and so on. So, it’s not a matter of poor projects, it is a matter of poor readers who, despite the fact they are even being paid for it, are also beyond repproach. From your point of view, how important is the locally integration of biorefineries? Also for the rural development. Biorefineries have traditionally been quite dislodged from the feedstock growing regions. They seem to be build always near some train line, port, etc. with the hopes of being able to export quickly. However, that never happens, as it turns out that the feedstock arrives so far and at such high price, that it becomes impossible to compete with inexpensive biofuels from places where the biorefinery is located right besides the feedstock like in Australia or Brazil. In this last example, there are towns such as Ribeirão Preto which are entirely dependant on the local biorefinery, which is proof enough of their importance for rural development. And how relevant is the role of farmers in the bioeconomy? Farmers are the base of the pyramid. If they fail, the entire model falls. Yet, whereas in the food agrimarket we know that quite well, the same does not happen in the biobased market. As a society, we have no problems in giving as many incentives as needed for farmers for them to produce our food, but whenever it is to produce a feedstock for a biobased product in minutes some NGO or politician jumps on his chair claiming that’s unfair, unsustainable, etc. It is no wonder it is so hard to convince them to grow anything destined to those markets. Could you tell us the next steps of development of your EUnergyCane? The EUnergyCane is half-way in its development. 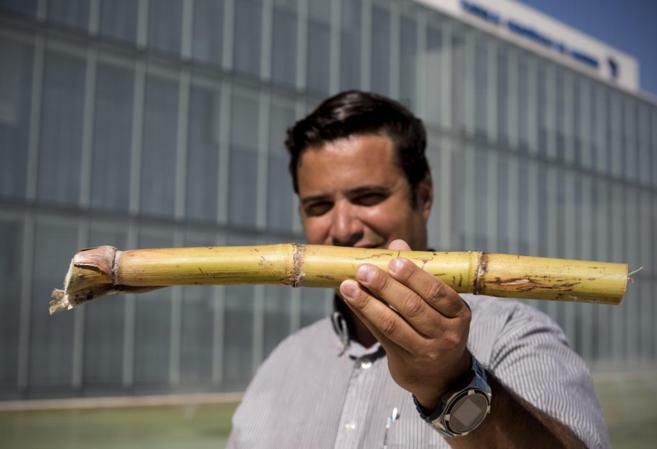 So far, we identified a naturally occurring sugarcane hybrid in the south of Spain, which can be effectively considered the only european-bred sugarcane variety. We are actively growing it in our fields in Spain and we know it is already resistant all the way up to Madrid. However, in order to make it effectively cold resistant for places such as the UK, a complete DNA sequencing is required. With this, we’ll find valuable markers we can edit with non-GMO techniques such as CRISP to make it cold resistant just like many other projects in USA, Brazil, etc. Also, the fact that sugarcane is the world’s best photosynthesizer means we may find valuable clues to increase the photosynthetic ability of other crops, making them suitable to grow in the low-light european continent. Once we have a truly cold-resistant sugarcane, we’ll register it and farmers will grow it for others to produce chemicals, sugar, ethanol, cattle feed, electricity, pellets, et. That’s the beauty of this crop, that has so many uses that it reduces the farmer’s risk to practically zero.